Xem tất cả 585 khách sạn tại Huệ Châu. 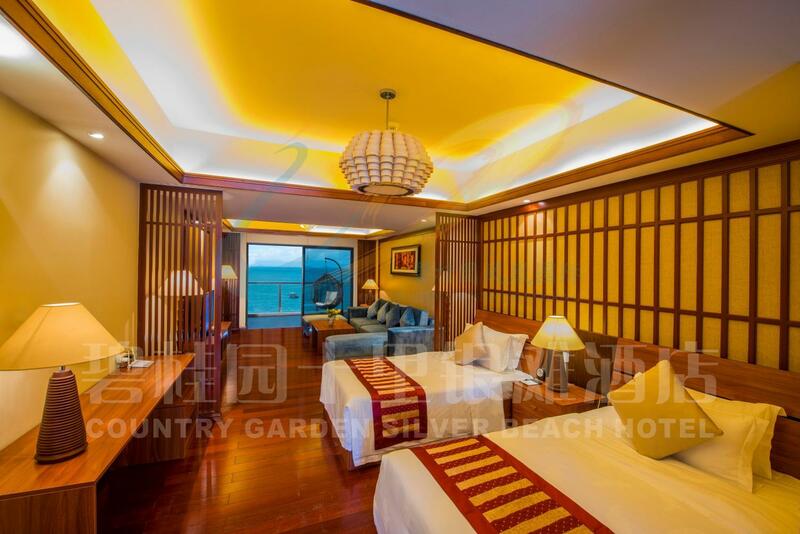 Bạn có thắc mắc về Country Garden Silver Beach Hotel à? 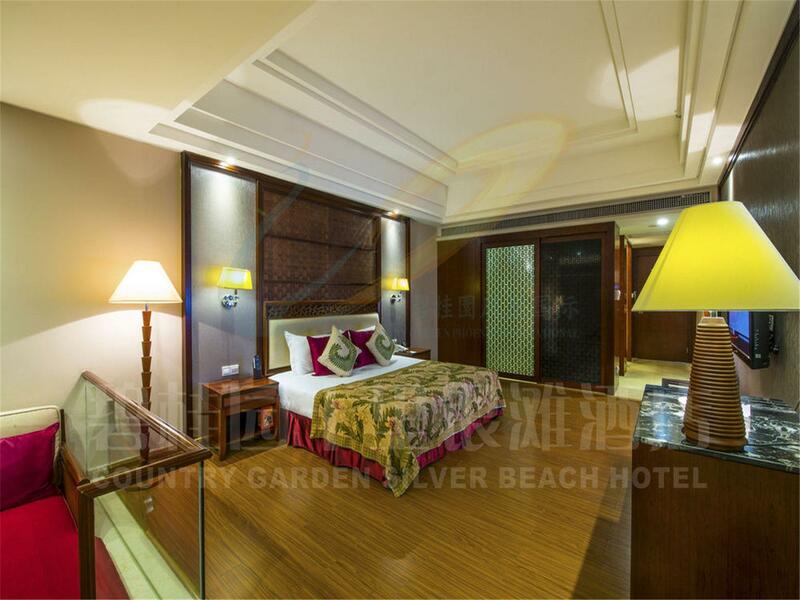 Tọa lạc ở vị trí đẹp của Huệ Đông, Country Garden Silver Beach Hotel hưởng được rất nhiều lợi thế trong bãi biển trung tâm của Huệ Châu. Khách sạn không quá xa trung tâm thành phố: chỉ cách 30.7KM, và thông thường chỉ mất khoảng 40 phút để đến sân bay. Khách ở khách sạn có thể dạo bộ xunh quanh để ngắm các địa điểm thu hút hàng đầu của thành phố như : HuiLian JiaYuan ShangYeJie. Hãy tận hưởng hết vô số dịch vụ và tiện nghi không gì sánh được ở khách sạn Huệ Châu này. Dịch vụ phòng 24 giờ, miễn phí wifi tất cả các phòng, sòng bài, quầy lễ tân 24 giờ, tiện nghi cho người khuyết tật chỉ là một vài trong số những thiết bị được lắp đặt tại Country Garden Silver Beach Hotel ngoài một số khách sạn khác trong thành phố. 336 phòng trong tổng số 26 lầu mang đến cho bạn sự ấm cúng và dễ chịu như đang được ở nhà. Những thiết bị hiện đại như tivi màn hình phẳng, giá treo quần áo, các loại khăn, tủ đồ có khoá, gương cũng được trang bị trong một số phòng. Những phương tiện giải trí của khách sạn bao gồm bãi biển riêng, phòng thể dục, hồ bơi ngoài trời, hồ bơi trong nhà, tắm nắng được thiết kế để đem đến cho bạn sự thư giãn thoải mái. 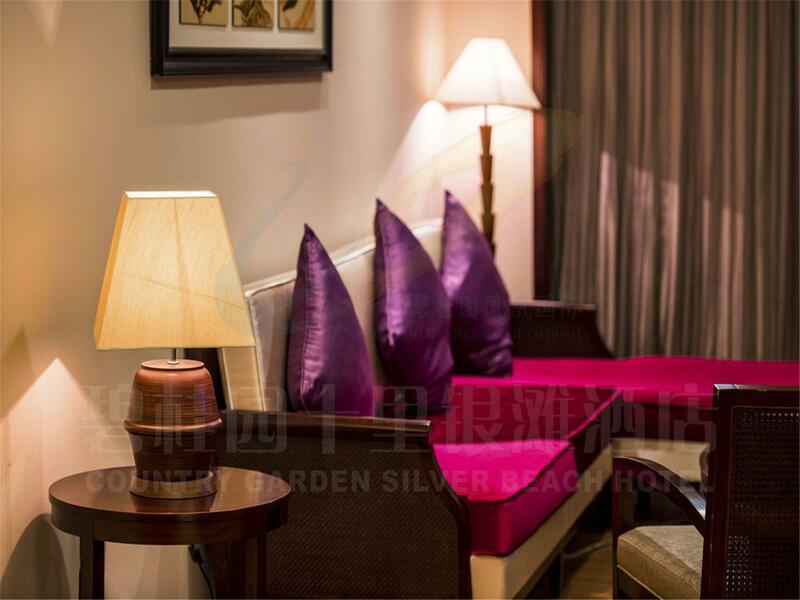 Với vị trí lý tưởng và cơ sở vật chất thích hợp, Country Garden Silver Beach Hotel đạt được tiêu chuẩn ở mọi khía cạnh. 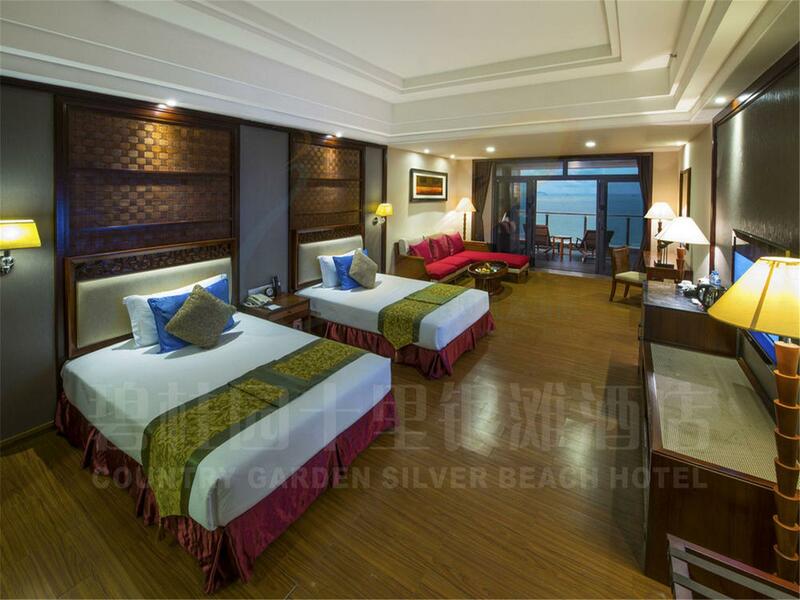 We stayed in Country Garden Silver Beach Hotel for one night. The room was very spacious, clean and neat; the view was great - full sea view. The staff was very friendly and helpful. Especially the Guest Service Manager, Mr. Alan Liu. During our stay, we encountered a washroom problem; Mr. Liu tried his best to arrange to resolve the problem. When he confirmed that the problem could not be resolved immediately, he helped us to change to another better room which made our stay very satisfied. 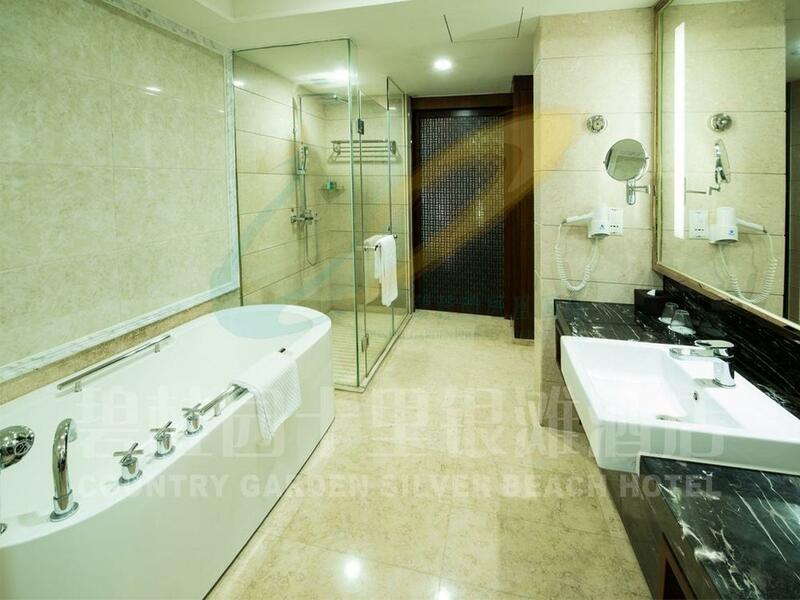 In general, we think Country Garden Silver Beach Hotel is excellent; we are especially impressed about the performance of the staff in particular Mr. Liu. 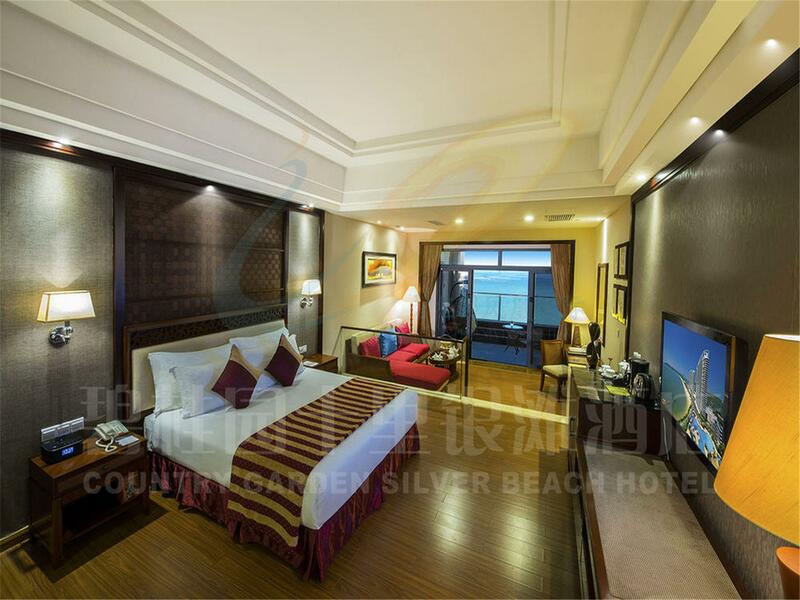 When we have chance, we will come back to stay in Country Garden Silver Beach Hotel again. This hotel is located right on the beach but don't get lured by this fact as on weekends the whole area is crowded with people and due to nationality piculiarities these people tend not to swim in the sea but sit near the water and dig small ponds in sand and bring water in there, then water will come out of these ponds and literally flood back to the sea, which doesn't help to make it look clean at all. And when we were there there were dozens of people doing this along the beach. Beach area itself is very dirty, nobody cleans litter so people don't bother sitting in the midst of that garbage. It was a disgusting experience even to be there. Beach beds are of non-existence, at least they are not included in a hefty price you are paying to hotel. The only thing I could say about the room is that it was spacious, clean and OK. But frankly you come to the "beach resort" not to be in the room. I wouldn't recommend anyone to spend money on this place. Huge room, wonderful view, amazing swimming pool. 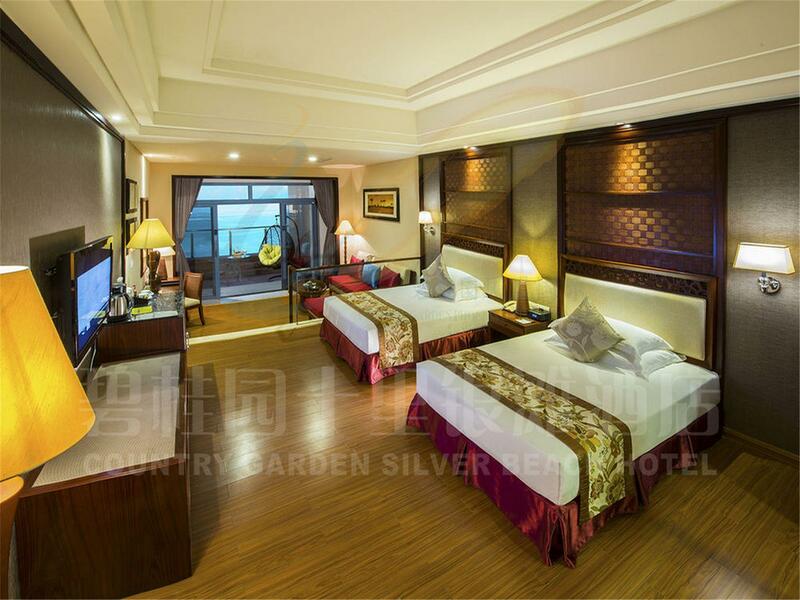 Country Garden Silver Beach Hotel is wonderful. The big fish tank in the lobby area is quite awesome. The room was huge. Comfy bed, big bathtub, huge balcony. The swimming pool was amazing!!! Breakfast was average. Only thing I didn't like was that the lobby is also used as a sales office for the estate agents so it was very busy there all the time and people constantly asking if you want to buy an apartment. Other than that is was good. The location is great, a very nice beach in a sea bay and the hotel is right on the beach. 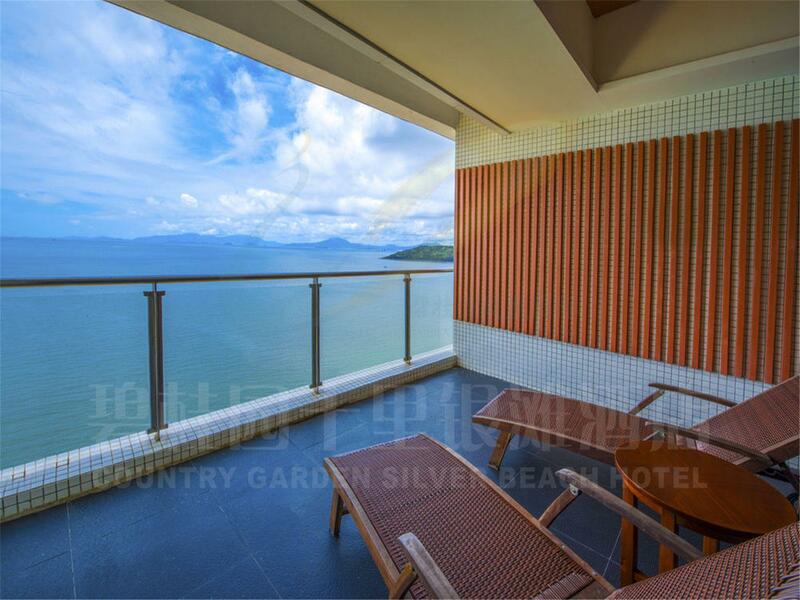 The room with a large balcony has a great sea view. Overall, it was a good experience and we enjoyed the stay. In particular, we were upgraded to a superior (deluxe) suite with no extra charge, which was an excellent value for the money we paid. It's a good holiday resort to relax. Occasionally, internet was not working or slow. Dinning choices were limited. Great rooms with excellent view of the ocean. The hotel is always packed with people because there are many new developments in the area. If you do not like crowds do not come to this hotel. The beach was always jam packed with people and the ocean water was brown dark and full of debris. Definitely not a clean water. In the restaurant I found a strange animal in my food at the breakfast buffet. Overall a bad hotel where the highlight were the rooms with great views. I believe that the foods provided by their F&B outlets are not acceptable for foreigners, except Chinese restaurant. Especially, breakfast buffet was TOO BAD. Overall, foods quality was below level of Hong Kong's local coffee shop. I would say totally no value I paid. It was a bit of a challenge to get to the hotel. There is not a lot of information about the paid shuttle bus service. Overall, the hotel is fine but the facilities can be improved. For example, half of the restaurants were not opened during the daytime and there was no proper signage indicating where to wait for shuttle bus. Very bad management even the room is big. First when we check-in tooks us 45 minutes, and the staff has no idea what she(was doing, she mix up my name with other customers and she even ask me if i am asking to stay one more day! 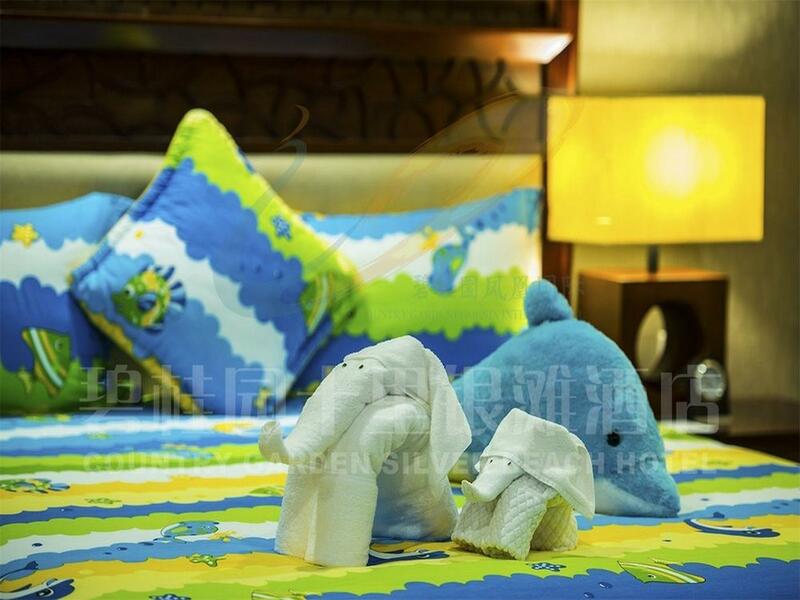 (extend room stay)When we reached the rooms was not ready yet!We booked 4 rooms just 1 room is ready to serve! i've never been a beach dirty like this too!10 miles silver beach sould named is" 10 miles rubbish beach", i think this is the best i've never seen, this is completely different from the truth! I booked before arrival and the front desk kept me waiting in the lobby, saying there's no record of my booking even though I have shown them hotel voucher. The hotel upgraded me to a higher-level suite. The moment I stepped into the room, I found steins on the floor, untidy closet and desk. My husband and I thought maybe staying at the beach would be better but that's another story of disappointment. The view is exceptional but we realized its a public beach. And the hotel doesn't provide towels so that we have to run back to our room to get those. Then we found that leaving personal items on the bench wasn't ideal as it's open to the public, so we went to the hotel's swimming pool. At the entrance, the staff firstly refused to let us in because the hotel was shooting a commercial. Eventually we got in but that was after a few mins of argument with the manager. Sigh. We paid to stay at the hotel but couldn't use the facility because they were busy "promoting"? Isn't providing better service the first priority and it will speak for itself? This is our second stay at the Country Garden chain. My first one was also very unpleasant that we had to fight for breakfast. In general, I wouldn't recommend the chain to you until the hotel has improved its service. it is really just a hotel built to sell their condos. there are real estate sales people everywhere. absolutely not an international standard hotel. there are a lot of mold on the wood frame door of the bathroom. overall hygiene level is merely acceptable. the breakfast 20 dollars - not a lot of money but it was terrible. i saw flies on the coffee machine and over the fruit trays. This hotel is good for family short trip, the beach view is very beautiful , food are good & the children are very enjoy. The room and facility is a bit old. The whole experience was not as expected. I ended up stay one night instead of two and changed hotel. swimming pool, size of the room, location. Great location, big room, the only issue was the room cleaness, the floor was really dirty and we had to call the staff to clean it twiece. Hotel itself was nice but the beach is dirty because of garbage and the performance of staffs was really poor checking in and out took forever.